It is time to start spouting out the 2019 team rumors, especially with the last couple topics posted in the 2018 thread (Vital member, MPH, asking if Warner just eluded to Vergier leaving Syndicate). This is the ultimate real or fake gossip center about professional mountain bike racers, teams and who will be running what. Hello Racing Rumors! Missed you! All aboard the Hype Train to Rumor Town! He said rumours but I think the Syndicate are so close that surly they will do everything they can to keep him, great team, great bike, his first win be silly to leave when its all starting to gel unless Max Commecal wants to sign Vergier and Bruni and turn the Commencal team into the new sunn chippie team from 20 years ago. 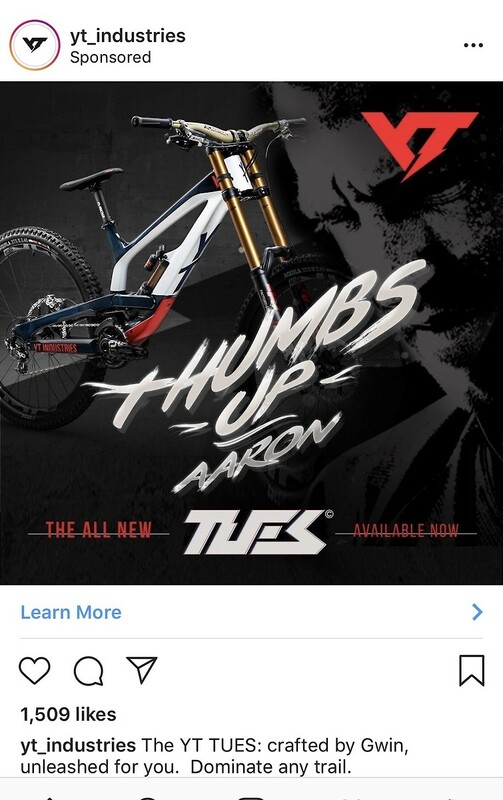 GT should sign someone who will put there new bike in the top 10 ? Reece Wilson should get picked up by another team or bumped up to the Commencal/Vallnord team. What actual riders are at the end of their contract this year ? Gwin ? isn't this his last year with YT ? General Lee's comment in the 2018 rumors about salaries is interesting. In inside line pod with Whitely, he mentioned that viewership is up, etc. with the stream and what not; is that playing a bigger role in increasing salaries? If salaries are up 20% plus over the past couple years, I think we are in for some big shakeups. At the moment, the Syndicate, really has 3 top 5ish riders (Minnaar has been hurt but he's definitely paid like a top 5 guy). Even SC, who seems willing to spend a lot of money here, this could be too rich for the team. Loris may not want to leave, but if he is being given significantly more money than SC can afford, I would totally get him moving for a bigger pay check. Nukeproof are dropping the DH squad for next season , along with the Pulse to concentrate on Enduro, some free agents soon. How is Vali's contract, is she getting on mob for 2019 or is she staying with sram? Or do you think any other team might be willing to invest heavily into the future ? ok, i probably shouldn't post this, but the athlete figured it's worth the hype and we need to kick things off. who was/is on their DH team this year? CRC/Mavic dumped the DH team before the 2018 season and were the only team riding nukeproof afaik. Yeah I completely forgot they already dropped the team, but the hearsay of the DH bike not being made anymore is still quite shocking. In for this year, I've got nothing so I'm going to predict Saracen with a non single pivot bike, or maybe high single pivot, purely on the basis Hart is somewhat struggling to get on the top step and Brook is enjoying being back on Mondraker after the single pivot GT. Its not tom van steenbergen he is on monster now. Here’s my completely unfounded rumours. I haven’t seen one photo of the Specialized gravity team together this year so I predict Miranda Miller retires or is leaving the team based on her last post about team memories. Specialized should sign Val Holl to a three year contract while she’s still reasonably priced. Finn Isles is moving to Santa Cruz Syndicate based on his eating with them, Loris and Bruni back on the same squad but I don’t know where. I really hope Eddie doesn't sign with Rebull. That would be a bummer. Now that he's a top 10 guy, Eddie needs a way more "bougie" helmet sponsor to fit his brand. I'm thinking something like Audi or Breville that fits in with the mid-30s enduro guy with his full carbon pivot on his kuat rack talking about how good his espresso is at home on the group ride. Brosnan's been with Canyon for a bit now, same with the Intense Factory Team and Giant racing. Now that Norco and GT have new bikes, maybe we will see a shakeup there? I'm less certain about what's happening on the Enduro circuit, but Graves, Rude, and Maes have all been at their respective teams for a while now, but I don't see any of them leaving anytime soon. Racing Rumors came a month early this year! Valentina Holl to become the first female rider of the YT Mob. 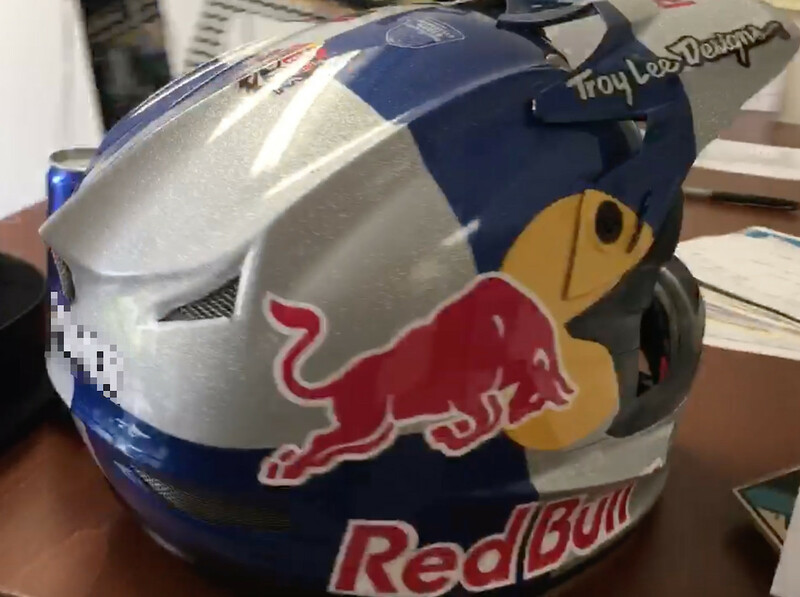 Vali will be with the Mob next season because team vids and photos look better with 2 Red Bull helmets instead of one. Vali Holl will be moving to Elites for sure. Her national federation will need to send the request over to the UCI as a formality but the UCI won't say no. Loris will be moving to Norco, and it's thanks to Loic. Specialized Gravity Racing will cease to exist, they go back to Specialized Racing or Specialized Factory Racing. (which will include Monika Hrastnik). I see Finn going to Mondraker, who will lose Laurie Greenland. Laurie Greenland will probably be a Specialized rider in 2019. Loic stays on and helps lead development to on the next Demo. Miranda Miller will choose not to race the full 2019 WC season. 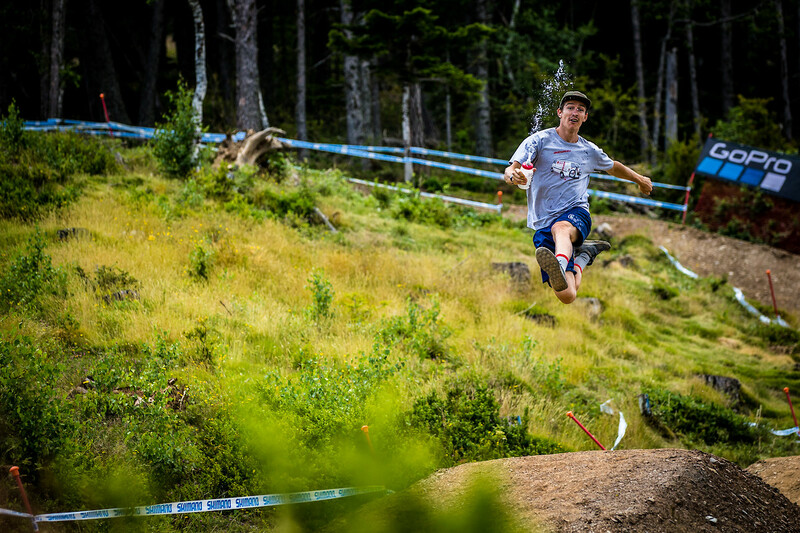 Lapierre will be back on the EWS. They will be racing a new bike which can run both 27.5 and 29 in wheels. Adrien Dailly might prefer 650b at the onset but if Nico V tests the 29er, we will likely see the 29 version on track. Eddie Masters to race the EWS full time. He will still race a couple of World Cups depending on the schedule. He will be signing with Monster Energy. Why you talking about me? Is MRP suspension breaking into the world cup circuit ? No rumor, as I assume Gwin will be riding for YT for the foreseeable future. But did anybody else find YT new Tues ad funny? Not a rumor, but Isak Leivsson should be picked up by a real team.